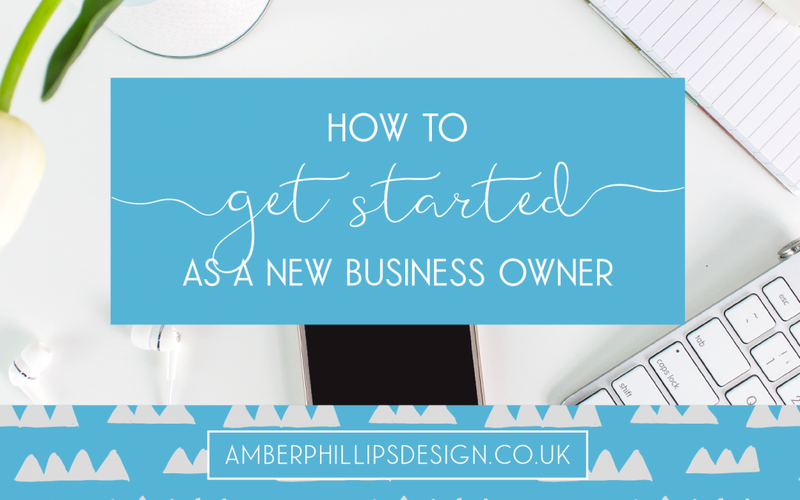 Starting a business is incredibly exciting, but it can be scary and overwhelming as a new business owner. It’s totally different to having a 9-5 job because you are your own boss. You don’t have a boss or colleagues relying on you to get work done, you have to motivate yourself. You don’t have a secure paycheck every month, you have to make the money yourself. You don’t have a specific role to start with, you are the operations, sales and finance team! But don’t let that put you off. You’re going in to business for a reason and once you’re past the start-up phase and are settled in to your new role as business owner, you’ll never want to go back to a 9-5 job ever again! 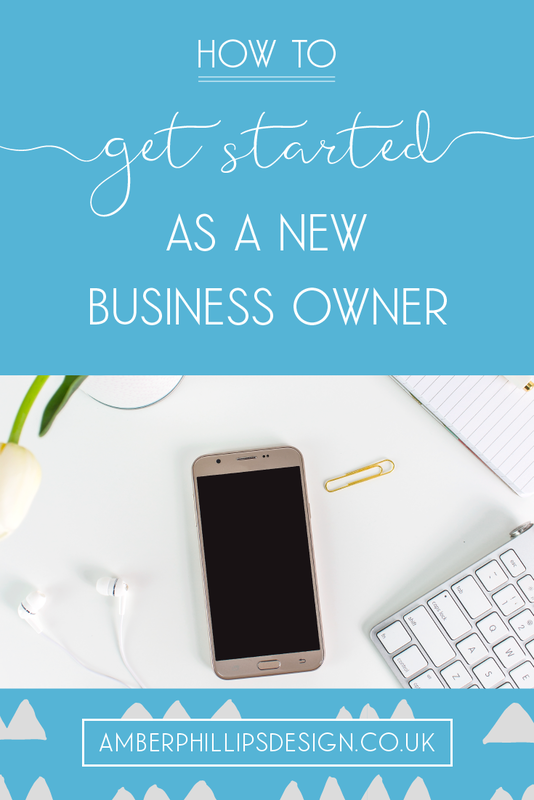 Watch the video below or scroll down to read the blog post full of tips and information, based on my own experiences, about getting started as a new business owner. Take note of these and they’ll help you get off to a flying start! This video was originally posted in my Facebook group Amber in my Pocket. To get access to live training and to see what’s coming up next, join here. So first of all, do you actually have a business? Do you know what your business is going to be? If yes, skip down to the ‘make a plan’ heading! If you have decided that you want to be a new business owner but you haven’t decided on your business idea, I’ve got a quick exercise that will help you to gain clarity! Take a piece of paper and divide it into three. In one column, write your passions. In the next column, write your skills. Then in the third column write the problems that you can solve for people using your passions and your skills. The reason I say to write your passions is because the best type of business and the most sustainable business is when you’re doing something you’re passionate about. Running a business is tough. I don’t want to put anyone off, but it is tough. It’s also very rewarding. You’re going to get a lot out of it, but you need to have that passion to keep it going. You need to love what you’re doing! The best type of business is also one that solves a problem for a specific group of people. When people have a problem that needs to be solved, and you have the answer, thats when relationships and sales happen! 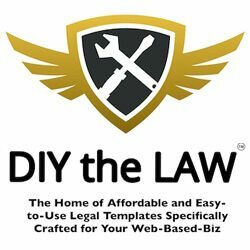 Another example, and one that is actually my business, I design websites for small businesses who need to make sales online! It combines my passion for creativity and business with my skills in WordPress and design. Look at your piece of paper and see where you can combine your skills and passions to solve problems, and see where you can turn this in to a business. If you need help, pop over to the Facebook group! Whether you’ve just started your business or if you’ve been in business for decades, you need a plan. This plan doesn’t have to be a formal business plan with pages and pages of figures and goals (unless you’re hoping to get funding, in which case use a formal business plan like on princes-trust.org.uk). Your business plan can be written in any way you like, just as long as you use it consistently! Write it in a notebook, use coloured pens and stickers, type it on the computer and print it out… Whatever method you use to create this plan, make sure you refer back to it regularly to make sure you’re keeping up with goals and targets, and to help control your progress. Time goes fast and you’ll find that without a plan, you’ll waste so much of it! Your message or mission statement. So just in a nutshell what you do and why you do it. Your goals – and that doesn’t just have to be financial goals. It could be by how many hours you want to be working for example, or that you want to quit your full time job by the end of the year. Realistic income goals and a breakdown of how you’re going to get there. An outline of all the products and services you offer. Information about your target audience. Personally I find it a lot easier to have an actual physical business planner that I can look at every day. Both are absolutely brilliant! I actually designed Nadia’s planner so I’ve seen every single one of those 300+ pages! And I got the Awesome Marketing Planner for Christmas and it’s really keeping me accountable with my marketing and helping me to grow my audience. When you first get started, it’s really easy to, to overestimate everything. You think that you’ll have tons of money and tons of time and that everything will kick off straight away. But it’s not always that easy! Actually, it’s rarely that easy! Underestimate how much time you have to account for unexpected projects or unexpected family visits etc… There are lots of things that can eat in to your time! And underestimate how much budget you’ve got as well. Plan for a slow start and if you find that you’re bringing in a lot of money, save some for a rainy day. It’s often hard to predict when you’ll have good and bad months when you’re just starting! The larger the target audience, the smaller the impact. The smaller the target audience, the bigger impact. So if you focus on a smaller amount of people with a specific message for them, you are probably going to be making a lot more money with a lot less effort! If you don’t know where to get started with your target audience, take a look at this post and download the worksheet. It’ll ask you lots of questions to really dive deep into who your people are. Stick with me! Don’t skip this part just because I’m talking finances! Taking control of your finances right from the very beginning is going to help you so much. Don’t put it off because you’re worried about it or think its going to be difficult, as tax season will come around regardless! You don’t have to invest in any fancy software but I do recommend recording information digitally, even if it’s on a Google Docs spreadsheet or Excel rather than in a notebook. It just makes it easier to make reports and keep track. Imagine having to sift through a notebook or box of papers… no thank you!! The software that I recommend to get started is QuickFile. It’s free until you reach 1,000 entries, and by then you’re going to be making money! I’ve written a guide to Quickfile here to help you get started. It’s so easy to use and you quickly get in to the habit of recording all your income and expenses. The first person you hire should be an accountant! Speaking of finance, if you’re a new business owner, you’re yet to experience the dreaded tax return! Honestly, I don’t find them that stressful, and that’s because I’ve used QuickFile right from the start and I also hired an accountant to do my tax return so I don’t have to worry about whether I got all the numbers right. In the long run it’s more cost effective because I can be spending time making money doing what I’m good at, and you’ll probably find it’s the same for you. At the time of writing this, I pay around £175 per year for someone to do my tax return. If you simply don’t have the budget to hire someone to do your tax return, there are plenty of resources and workshops to help you. HMRC do some of their own too. Save as much as 25% of everything you earn if you can. It’ll help you save up to pay your tax at the end of the year and also helps with rainy days or investments you have to make along the way. Whether you’re just starting or whether you’ve been in business a while, just keep things small and simple! Become a master of one thing and then build on it. Again, this is something that I’ve been guilty of! I tried to do absolutely everything to do with design when I first started and it was just really difficult to keep track of and really difficult to market. I didn’t have a target audience. I was talking to everyone offering everything and I didn’t stand out. Make sure you’ve got a small target audience and specific offering for them and you’ll find it a lot easier to get established, to grow and to make more money. Often we’ll find ourselves making things a whole lot more complicated than they need to be! For example being on several social media platforms or creating different content for your blog, newsletter and YouTube channel when really you can reuse the same thing! Not everyone starts their business so that they can make tons of money, but generally people want to make an income! So if you’re starting your business because you need money, it’s usually because you need it asap. Perhaps you need to pay for a dream wedding, perhaps you want to quit your soul sucking day job, perhaps you want to stay at home with your baby but still earn an income… There are endless reasons for starting a business and endless reasons for wanting to make more money. If you want to start a business and make money asap, you need to focus on the money making activities. Sounds simple, huh? On the contrary, it’s so so easy to self-sabotage when you’re new to running a business. Or even if you’re not new – I still do it now when I’m scared of doing something! That’s where a planner comes in handy so you can track your goals, keep yourself accountable and see what’s holding you up. Think about what tasks are going to get you further in your business. Think about what tasks are the moneymakers! And then prioritise those. You don’t need to be doing EVERYTHING! Pick a few key things and focus on doing them well. Make sure you join my Facebook group as I’ll be covering how to make a super simple marketing plan and pick your key money making activities in my next training video. Make sure you register as a sole trader, limited company or partnership with HMRC (or the equivalent in your country if you’re not from the UK). You don’t have to do it straight away but it’s always best to get this sort of thing done early on and then you can focus on the running of your business. I put off registering when I first started my business because I was a bit scared… It does sound scary! But it actually wasn’t. It was quite straightforward and done fairly quickly. Also make sure to register a domain name and social accounts with your business name, even if you’re not going to use them straight away. You’ll be kicking yourself if you decide years from now to start using Pinterest but someone else has already registered your name! For years I just struggled on alone. I’d ask for help from family and friends, but they just don’t always get it. If they don’t run a business themselves, usually the response will be, “why don’t you just go and get a proper job?” But obviously we don’t want to do that! Obviously you are here because you want to run a business and it is such a brilliant thing to do. It is stressful. It’s difficult, but it’s so rewarding and I just love doing it. I love being my own boss. I don’t think I can ever go back to working for anyone else! I’m officially unemployable! I found my community in Nadia Finer’s Profit Pack a couple of years ago and she made me realise that there are so many people like me, and it really helped to push my business forward. It’s so important to find a community of people that you get along with, that are in the same boat, and just know that you’re not alone in running your business. There’s nothing wrong with asking for advice or help, whether you’ve been in business for 10 years or whether you’re just starting now. So many business owners have had the same problems and the same fears and you’ll find that there are so many people out there willing to help. Amber in my Pocket is my Facebook Community. It’s relatively new and I’m still growing the group, but I want it to be a loving and helpful community of like minded business owners! Whatever you need help with or even if you just need to vent, post in the Facebook group and we’ll support you! If you want more tips, I’ve got a post called top tips for starting a business that you can read here.